Prelims level: Basic knowledge of India’s data regime. Mains level: The news-card analyses issues and challenges with India’s data regime, in a brief manner. The credibility of India’s data systems is under serious threat with the recent controversy over the employment data of the National Sample Survey. While the Census of India and the National Sample Survey Organisation (NSSO) have a good reputation, when it comes to data related to the social sector (health, education, nutrition) the situation has been deficient on numerous counts. The NSSO collects data through specific rounds (health expenditure, debt etc.) which don’t have a fixed cycle unlike the consumption expenditure surveys. The Census collects data once in 10 years. Budget allocations follow an annual cycle and policy pronouncements are not dovetailed to the years for which data is available. This raises important questions about the basis on which policies and plans are made. In the case of malnutrition, which is a problem needing urgent solutions, there was no independent data telling us what the trends are for a long time. The National Family Health Survey (NFHS-4) report came out in 2017 after a gap of over 10 years (NFHS-3 was in 2006). In the interim, major initiatives were planned for the eradication of malnutrition without any inkling of the situation on the ground or how it was changing. Similarly, data on learning levels was not collected consistently by the government till 2017. It is not known when the next round will be held or how long it will take for the data to be made available. There are inconsistencies in definitions and sampling frames across data sources and across time in the same data source. For instance, questions posed by the NSS for obtaining information on out-of-school children vary dramatically from those posed by the Census. As a result, the two arrive at vastly different numbers. Similarly, in the case of malnutrition data, there have been changes in the definitions used by NFHS across different rounds that make comparisons over time difficult. Periodicity of data collection also varies across sources, furthering difficulty in validation. Data validation plays an important part in improving the quality of data collected and ensuring authenticity, without which departments are basically shooting in the dark. The education rounds of NSS are part of the survey on social consumption, which in turn is for the purpose of making an assessment of the benefits derived by various sections of society from public expenditure incurred by the government. It provides no information on how the education system is functioning. As a result, several important indicators that would be of interest for planning or to the people, do not even figure in them. For instance, the different categories of teachers or their salaries is a not a data point in any data-set on education. In the absence of regular large-scale survey data, what is available is the registry data collected by departments and ministries for monitoring of programmes. Unfortunately, these too suffer from gaps in information and are rarely used for programmatic purposes. At most, they are part of an accounting exercise. For instance, school surveys by the MHRD collect information on broad indicators of infrastructure and teacher availability (only two categories, whereas multiple exist) and student enrolment (but not attendance) and distribution of incentives. These take stock of the provisioning in schools, showcasing administrative efforts, but not functioning of the education system or real changes within it. Thus, school data for District Information System for Education (DISE) is collected by school teachers, health workers fill in the information for Health Management Information System (HMIS), anganwadi workers provide nutrition data and so on. This creates perverse incentives for them to hide the reality on the ground. This came out starkly in a comparison (by N C Saxena) of monitoring data of ICDS, which showed severe malnutrition for the country at 0.4 per cent, whereas NFHS data for a comparable period showed it to be around 16 per cent. Field studies show that anganwadi workers are often penalised by their superiors for reporting severe malnutrition. Similarly, teachers fear losing their job if enrolment or attendance falls below a certain level. The anganwadi worker who fills numerous registers each month never receives any feedback on the data collected. Cluster and Block Resource Persons in the education system routinely collect enormous amounts of information in multiple formats. But no action is taken on it. This lack of feedback acts as a huge disincentive to the data collectors reducing the quality of what they collect. The shift to mobile reporting has not changed the situation on the ground as introduction of technology did not improve the feedback mechanism that continues to be a missing link. In effect, the state has failed to create capacities that can be devoted to developing and maintaining a timely, reliable and decentralised data regime. This inadequacy pervades the system from top to bottom. DISE has barely a handful of people manning the entire operation of developing and maintaining the official database for education. At the sub-national level, they rely on data entry operators to collate and digitise data manually collected by teachers in complex formats. There are no statisticians in the system and few inputs received from educationists. Data in usable or useful form is unavailable at local levels, severely hampering ideas of transparency, accountability and decentralised planning. The paucity and unreliability of government data has given rise to a plethora of non-government data sources in the social sectors, similar to Centre for Monitoring Indian Economy for industry and employment data. In education, the Annual Status of Education Report and the India Human Development Survey are commonly used. While these sources have been useful in highlighting neglected issues, it raises the question of data neutrality. A large country of India’s complexity and growth should strengthen its own data regime to ensure independence and neutrality. It will go a long way in ensuring that the country’s policies and plans are on track. Mains Paper 2: International relations| Effect of policies and politics of developed and developing countries on India’s interests, Indian Diaspora. Prelims level: Basic knowledge of India-US trade relations. Mains level: The news-card analyses the India-US trade relation in recent times, in a brief manner. There are alarm bells in India over a possible decision by the U.S. Trade Representative to withdraw the Generalised System of Preferences (GSP) status. Under this, India is able to export about 2,000 product lines to the U.S. under zero tariff. Generalised System of Preferences (GSP) was first extended to India in 1976 as part of a global concession by the U.S. to help developing countries build their economies. The revocation of the GSP will be a blow to Indian exporters, and the biggest in a series of measures taken by the Trump administration against India to reduce its trade deficit. President Donald Trump’s case on what he calls “unequal tariffs” from India rests on the trade relationship in favour of India. Indian exports to the U.S. in 2017-18 stood at $47.9 billion, while imports were $26.7 billion. The measures are in line with Mr. Trump’s campaign promises. On the matter of Harley-Davidson motorcycles, Trump spoke directly to Prime Minister Narendra Modi on at least three occasions, demanding that India zero out tariffs to match U.S. rates on Indian motorcycles. In March 2018, the U.S. began imposing tariffs on several Indian products. In April, the USTR began a review of India’s GSP status, based on complaints of trade barriers from India it had received from the dairy industry and manufacturers of medical devices. In November the U.S. withdrew GSP status on at least 50 Indian products. In retaliation, India proposed tariffs of about $235 million on 29 American goods, but has put off implementing these five times in the past year in the hope that a negotiated trade settlement will come through. The latest deadline expires on March 1. India has also attempted to address the trade deficit with purchase of American oil, energy and aircraft. There have been dozens of rounds of talks between officials over the past few months, but no breakthrough. U.S. officials say the decision on data localisation for all companies operating in India, and the more recent tightening norms for FDI in e-commerce have aggravated the situation. Both sides should work towards calling a halt to trade hostilities and speed up efforts for a comprehensive trade “package”, rather than try to match each concern product by product. The U.S. must realise that India is heading into elections, and offer more flexibility in the next few months. India must keep in mind that the larger, global picture is about U.S.-China trade issues, and if a trade deal with the U.S. is reached, India could be the biggest beneficiary of business deals lost by China. The visit of U.S. Commerce Secretary to India this week will be watched not as much for substance, as for signals that New Delhi and Washington understand the urgency in breaking the deadlock. Mains Paper 2: Governance | Welfare schemes for vulnerable sections of the population by the Centre and States and the performance of these schemes; mechanisms, laws, institutions and Bodies constituted for the protection and betterment of these vulnerable sections. Prelims level: Basic knowledge of comparison of MGNREGA and PM-KISAN . Mains level: The news-card analyses how strengthening the MGNREGA would be more prudent than a targeted cash transfer plan like PM-KISAN, in a brief manner. According to several experts, strengthening the MGNREGA would be more prudent than a targeted cash transfer plan like PM-KISAN. Rural distress has hit unprecedented levels. According to news reports, unemployment is the highest in 45 years. To allay some misgivings of the distress, one of the announcements in the Budget speech was that vulnerable landholding farmer families, having cultivable land up to 2 hectares, will be provided direct income support at the rate of ₹ 6,000 per year. This cash transfer scheme has been called Pradhan Mantri Kisan Samman Nidhi (PM-KISAN). Undoubtedly, farmers’ distress needs urgent attention but one need to analyse if the PM-KISAN is a reasonable solution. Let us first compare some basic numbers with the Mahatma Gandhi National Rural Employment Guarantee Act (MGNREGA). For example, if two members of a household in Jharkhand work under MGNREGA (picture) for 30 days, they would earn ₹10,080 and a household of two in Haryana would earn ₹16,860 in 30 days. Jharkhand has the lowest daily MGNREGA wage rate, and Haryana the highest. Put simply, a month of MGNREGA earnings for a household is more than a year’s income support through PM-KISAN anywhere in the country. PM-KISAN is a targeted cash transfer programme and MGNREGA is a universal programme. Notwithstanding the meagre amount, the PM-KISAN might be pitting the landless against a small farmer. It is unclear how tenant farmers, those without titles, and women farmers would be within the ambit of the PM-KISAN scheme. There is also substantial evidence to demonstrate that universal schemes are less prone to corruption than targeted schemes. The Agriculture Ministry’s letter states that “funds will be electronically transferred to the beneficiary’s bank account by Government of India through State Notional Account on a pattern similar to MGNREGS”. There are important lessons to be learned from the MGNREGA implementation. The Centre has frequently tinkered with the wage payments system in the MGNREGA. It’s creditable that timely generation of pay-orders have improved, but contrary to the Centre’s claims, less than a third of the payments were made on time. And in contempt of the Supreme Court orders, the Centre alone has been causing a delay of more than 50 days in disbursing wages. Moreover, repeated changes in processes result in a hurried bureaucratic reorientation on the ground, and much chaos among workers and field functionaries alike. Field functionaries are pushed to meet stiff targets. Being short-staffed and inadequately trained, this results in many technical and unforeseen errors. A case in point is the rushed manner in which Aadhaar has been implemented for the MGNREGA. Several MGNREGA payments have been rejected, diverted, or frozen as a consequence. In the last four years alone, more than ₹1,300 crore of the MGNREGS wage payments have been rejected due to technical errors such as incorrect account numbers or faulty Aadhaar mapping. There are numerous cases of MGNREGS payments getting diverted to Airtel wallets and ICICI bank accounts. This continued harassment faced by people would have been a more humane question to address rather than brushing them aside as “teething problems” and build a new scheme on similar shaky platforms. The success of the PM-KISAN is contingent on there being reliable digital land records and reliable rural banking infrastructure, which are both are questionable. While ₹75,000 crore has been earmarked for this scheme, the MGNREGA continues to be pushed to a severe crisis. The MGNREGA allocation for 2019-20 is ₹60,000 crore, lower than the revised budget of ₹61,084 crore in 2018-19. In the last four years, on an average, around 20% of the Budget allocation has been unpaid pending payments from previous years. Thus, subtracting the pending liabilities, in real terms, the Budget allocation has been lower than 2010-11. Despite a letter to the Prime Minister by citizens and MPs in January 2019, (as of February 8) all MGNREGA funds have been exhausted. While the country stares at an impending drought, workers languish in unemployment. The MGNREGA is neither an income support programme nor just an asset creation programme. That the MGNREGA works have demonstrably strong multiplier effects are yet another reason to improve its implementation. Despite all this, the MGNREGA wage rates in 18 States have been kept lower than the States’ minimum agricultural wage rates. This acts as a deterrent for the landless. Yet, work demand has been 33% more than the employment provided this year — underscoring the desperation to work. By routinely under-funding this Act, the present government continues to undermine the constitutional guarantee. In an employment programme, adequacy of fund allocation and respectable wages are crucial, so meaningless claims of “highest ever allocation” and other dubious claims are unhealthy for democracy. The Central government should focus on improving the existing universal infrastructure of the MGNREGA before plunging into a programme pretending to augment farmers’ income. Three months after at least 20 lions in Gujarat succumbed to a virus, the Centre and the Gujarat government has announced a ₹97.85 crore Asiatic Lion Conservation Project. The MoEFCC has launched the “Asiatic Lion Conservation Project” with an aim to protect and conserve the world’s last ranging free population of Asiatic Lion and its associated ecosystem. The project will be funded from the Centrally Sponsored Scheme- Development of Wildlife Habitat (CSS-DWH) with the contributing ratio being 60:40 of Central and State share. The conservation of Asiatic Lions has always been a priority of Government of India. The Ministry in the past has supported Asiatic Lion in Gujarat by including it in list of 21 critically endangered species under the species recovery component of CSS-DWH. Key aspects of the conservation project include undertaking “habitat improvement” measures, making more sources of water available, creating a wildlife crime cell, and a task force for the Greater Gir region. Another key outcome of the project is to have a dedicated veterinary institute, “lion ambulances”, and back-up stocks of vaccines that may be required. It would also involve having in place a GPS-based tracking system, which would look at surveillance tracking, animal and vehicle tracking. There would also be an automated sensor grid that would have magnetic sensors, movement sensors and infra-red heat sensors. The Gujarat government has envisaged a ‘Greater Gir’ that includes, other than the existing Gir National Park, sanctuaries in Girnar, Pania and Mitiyala. The Kuno-Palpur Wildlife Sanctuary in Madhya Pradesh was identified to be the most suitable for reintroducing the species, but there has been no progress on the proposal. The SC in April 2013 had ordered the translocation of some lions from Gujarat to Madhya Pradesh within six months, but this hasn’t happened. However, they have to comply with certain guidelines of the International Union for Conservation of Nature (on selecting suitable habitat, translocation). A single population of less than 50 lions persisted in the Gir forests of Gujarat by late 1890’s. With timely and stringent protection offered by the State Government and the Center Government, Asiatic lions have increased to the current population of over 500 numbers. The last census in the year 2015 showed the population of 523 Asiatic Lions in Gir Protected Area Network of 1648.79 sq. km. that includes Gir National Park, Gir Sanctuary, Pania Sanctuary, Mitiyala Sanctuary adjoining reserved forests, Protected Forests, and Unclassed Forests. Mains Paper 2: Governance | Mechanisms, laws, institutions and Bodies constituted for the protection and betterment of the vulnerable sections. The government has introduced a Constitution Amendment Bill in Rajya Sabha to increase the financial and executive powers of the 10 Autonomous Councils in the Sixth Schedule areas of the NE region. The Bill is introduced in the wake of protests in the region following the passage of the Citizenship Amendment Bill, 2019, in the Lok Sabha. The Autonomous Councils now depend on grants from Central ministries and the State government for specific projects. At least one-third of the seats will be reserved for women in the village and municipal councils in the Sixth Schedule areas of Assam, Mizoram and Tripura after the amendment is approved. A call was taken to introduce in the Rajya Sabha so that the legislation remains alive even after the House has adjourned sine die. Introducing it in the Lok Sabha would have meant that the Bill’s life is co-terminus with that of the term of the Lok Sabha. The fate of the Citizenship Amendment Bill, 2019 is uncertain as it was passed by the Lok Sabha but has to be passed by the Rajya Sabha in the current session to become a law. Mains Paper 2: Governance | Services relating to Health, Education, Human Resources. All implantable medical devices, CT scan, MRI equipment, defibrillators, dialysis machine, PET equipment, X-ray machine and bone marrow cell separator have been notified as drugs with effect from April 1, 2020. The Central Drugs Standard Control Organization (CDSCO) is the national medical device regulator for its sale and use. 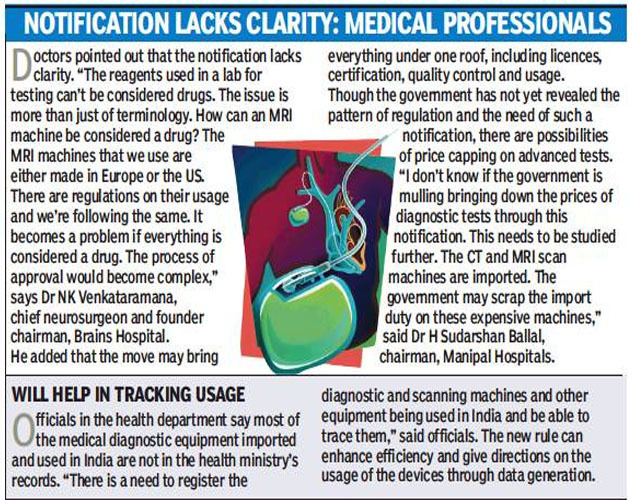 A majority of medical devices are unregulated in India. These eight medical equipments have been notified as ‘drugs’ under Section 3 of the Drugs and Cosmetics Act, 1940. This move is important for patient’s safety as with this notification, all implantable and diagnostic devices will come under the regulatory framework. This will regulate medical and diagnostics devices in the country. It will create a new regulatory marketing approval system and the government can keep a tab on importers as well as manufacturers. The Centre has announced that the Great Indian Bustard (GIB) will be its mascot for the 13th Conference of Parties (COP) of the UN Convention on the Conservation of Migratory Species (CMS) to be held in Gujarat in 2020. Representatives from 129 countries and eminent conservationists and international NGOs working in the field of wildlife conservation are expected to attend the COP-13, to be held in Gandhinagar. It will provide a global platform for deliberations on the conservation and sustainable use of migratory wild animals and their habitat. The CMS COP-13 would also bring together the states through which migratory animals pass. Why CMS COP in India? India is temporary home to several migratory birds and animals. The Indian sub-continent is also part of the major bird flyway network, i.e, the Central Asian Flyway (CAF). CAF covers areas between the Arctic Ocean and the Indian Ocean, and covers at least 279 populations of 182 migratory waterbird species, including 29 globally threatened species. CMS is an international treaty concluded under aegis of UN Environment Programme (UNEP), concerned with conservation of wildlife and habitats on a global scale. It is commonly abbreviated as Convention on Migratory Species (CMS) or the Bonn Convention. It aims to conserve terrestrial, marine and avian migratory species throughout their range. It was signed in 1979 in Bonn (hence the name), Germany and entered into force in 1983. Its headquarters are in Bonn, Germany. In a key move aimed at improving all weather connectivity and enabling the swift movement of Indian troops to Arunachal Pradesh bordering China, PM laid the foundation stone for the Sela Tunnel Project. It is being built at an estimated cost of ₹687 crores by the Border Roads Organisation. 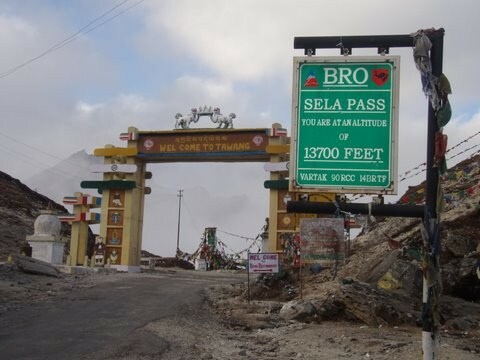 It aims to provide all weather connectivity to Tawang in Arunachal Pradesh — an area claimed entirely by China — and other forward areas. Analysts had been warning of China building infrastructure including access roads right up to the Indian border that would give it a strategic advantage in any conflict with India. Once completed this would result in all weather connectivity to Tawang and forward areas and reduction in more than one hour of travelling time from Tezpur to Tawang.